Product prices and availability are accurate as of 2019-04-18 03:39:35 UTC and are subject to change. Any price and availability information displayed on http://www.amazon.com/ at the time of purchase will apply to the purchase of this product. Cut-to-fit charcoal sheet, 16 x 48 material, removed odors and voc's form the air, can be cut to fit air purifiers, range hoods and furnace filters, made in the USA. 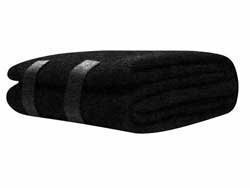 Cut-To-Fit charcoal sheet 16 x 48 material Removed odors and VOC's form the air Can be cut to fit airpurifiers, Range hoods and furnace filters Made in the USA by All-Filters, Inc.